A bowl full of creamy noodles and loaded with tons of veggies, cajun seasoning and lots of protein is the epitome of comfort food. 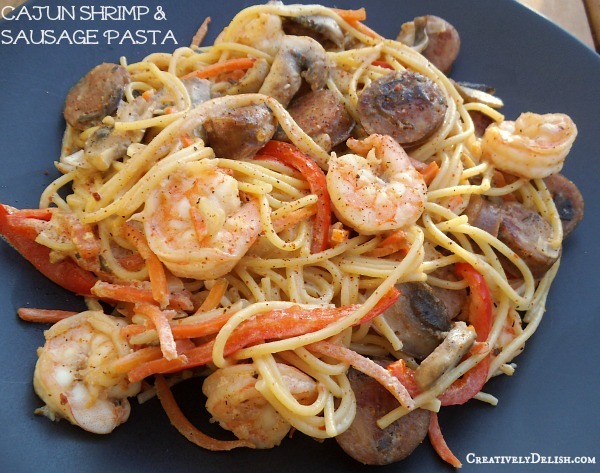 A Creatively Delish favorite and top recipe! The great part about a dish like this is you can play around with how spicy you actually want it. Over here at my place, we like things spicy and full of oomph, but maybe you don't like that so much...not a biggie, just slowly add seasoning until it's where you want it! Go ahead and sautee those veggies to perfectly cooked yet crisp perfection. And it will all come together in magical, creamy, Cajun perfection. 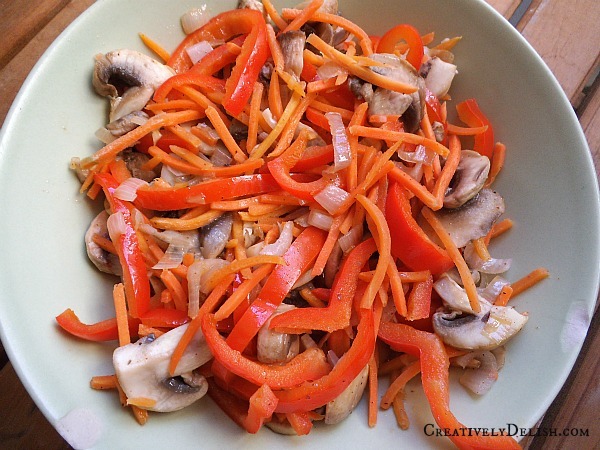 In a large pan, heat olive oil and sautee shallots, carrots, red pepper and mushrooms for 5 minutes. Throw in the garlic and continue cooking another 2 minutes. Set aside. Cook sausage for 8 minutes or until browned on both sides, then add shrimp and continue sauteeing until shrimp is done. Return veggies to the pan and start with 1 TBS of cajun/creole seasoning and about ¼ C of light cream. I used a bit more of each but thats my taste. Season with ground black pepper, then add in pasta and mix to combine. I can’t do scary movies! I’ m such a lightweight – they give me nightmares. 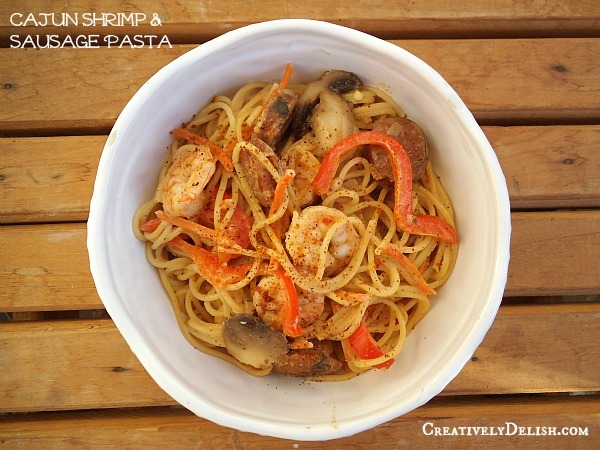 Love the look of this pasta! Insanely delicious! I’m a sucker for scary movies but secretly they totally terrify me! The pasta made it all better though 🙂 I hope you enjoy it! Made this last night…only one word to describe it Yummy..will definately make it again. Thanks Jean! The leftovers are even better!